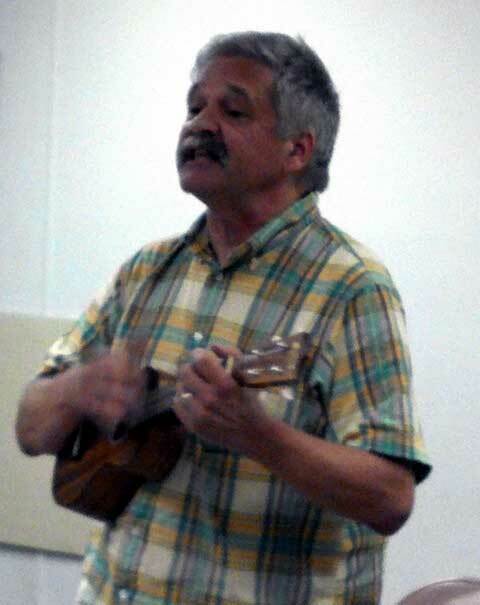 Bob also made a special announcement about the Ukes for the Cure show coming up on Tuesday evening, October 23 at 7 pm. Among the groups to be featured are our very own AUS team of volunteers, Kathy Murray and Bill ‘Monster’ Jones, the Lunettes, and Bob’s own band, the Pine Beetles. Other special guests are being finalized, so stay tuned!. We also sold a bunch of our new “Dia de los M-uke-ertos” shirts. They’re still available, in a variety of sizes, but they’re a limited edition, so who knows how long they will last? If you want one, make your intentions known at austinukes[at]gmail.com, or come to the “Ukes for the Cure” benefit show at New World Deli, 4101 Guadalupe, Austin, accompanied by a $20 bill. As usual, we had a bunch of folks in our “Open non-Mike” segment (we don’t need a mike in our classroom and we don’t have one, anyway). Woody, Kathy and Bill, and Walter (yours truly) sang songs of the spooky season, and Jason, Gary and Bob sang the non-spooky stuff. AUS meets the second Thursday of each month at the Memorial Methodist Church, 6100 Berkman Drive, Austin, at 7 pm. Our next meeting is thus November 8! See you then! 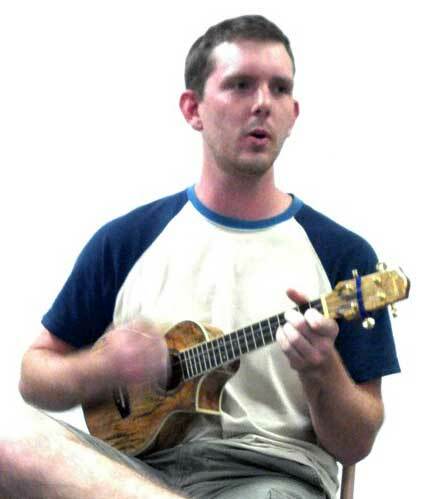 This entry was posted in AUS activities on October 13, 2012 by Austin Ukulele Society.